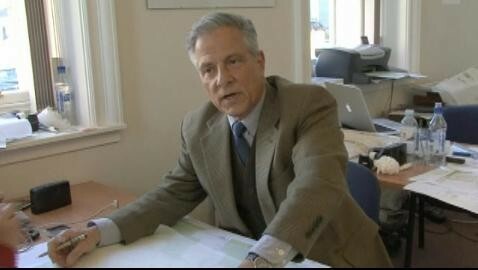 New urbanist Andres Duany has sparked protests from architects after alleging Scotland has not built any housing to be proud of since 1945 - after the Scottish government shelled out a reported £200,000 to import the expertise of Duany’s practice, Duany Plater-Zyberk & Company. Urban Realm caught up with the American in Lochgelly, during a recent charette tour of architectural trouble spots to find out what basis such arguments had. Isn’t the aping of historic vernacular inherently leading to pastiche though? “What’s pastiche? What does that mean?” Duany asks. “It’s made out of real materials, the windows are real, modern buildings are vinyl. I think pastiche, that little invention of yours, is not properly explained. It’s just a way of beating somebody like saying ‘papist’. Oh he’s a papist. What the hell does anyone here know about Catholicism? Nothing. But he’s a papist. It’s not pastiche it’s a way of doing things that is not more or less morally superior. The full article can be read in Urban Realm issue 2, due out on May 28. Is he really this mad? Is the government really spending all that money on a fruitcake? 'Traditional decoration only pretends to be decorative'. So when it's not pretending to be decorative, what is it? This is Duany's website, have a look at housing projects and judge for yourself. He's the love child of Michael Graves and Denise Scott Brown. £200K well spent I think. 'Modernism is very pastiche'. WTF? Mmmmm.....don't know about that Jo, £200,000 could buy a lot of cream filled doughnuts for the people of Scotland. I think that would be money better spent. Harling is exactly the traditional material used for centuries on Scottish buildings; it protects the stone from the worst of the weather. Is he now saying it's wrong to use it? Does Scotland really need this sort of 'expert'? 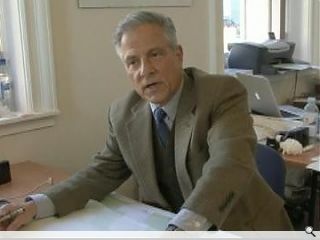 It has many very good, award winning, home designing architects who know far more than it sounds as though Duany does. Sadly typical of a country that is outwardly bolshy but inwardly lacks confidence. We import talent, no matter how spurious the credibility of the person brought in or, frankly bewildering the message. It's called being Scottish. Wha's like us. Debating the affective merits of grey harling vs. red sandstone is... so much whitewash. In deprived areas, what people most need is jobs providing a reasonable income and homes that are wind and watertight and use as little energy as possible. Even grey can appear rather serene if the basics are in order. I have to agree with the above comment, Lochgelly is a very deprived area, yet we have had a lot of money spent on "regenerating" the town. Unfortunately this regeneration has focussed spending vast amounts of money on outside experts writing reports and building statues. All this money would have been better spent by investing within the community to provide better local opportunities for individuals and tackling social issues. Mr Duany had no idea about Lochgelly and didn't even realise that we have a petrol chemical plant on our doorstep until someone pointed it out to him.